Promoting content through the use of social media has been a concept I’ve always been aware of, but the technical operations of launching a campaign were unfamiliar to me. Imgur is a new site now in my repertoire after learning to use it in our class. Using meme generator I created a meme that I think is relatable and funny making most girls and some boys laugh. My objectives were to reach across different platforms (Facebook, Twitter, Imgur, etc.) to a specific niche audience and obtain as many reactions and impressions as possible. 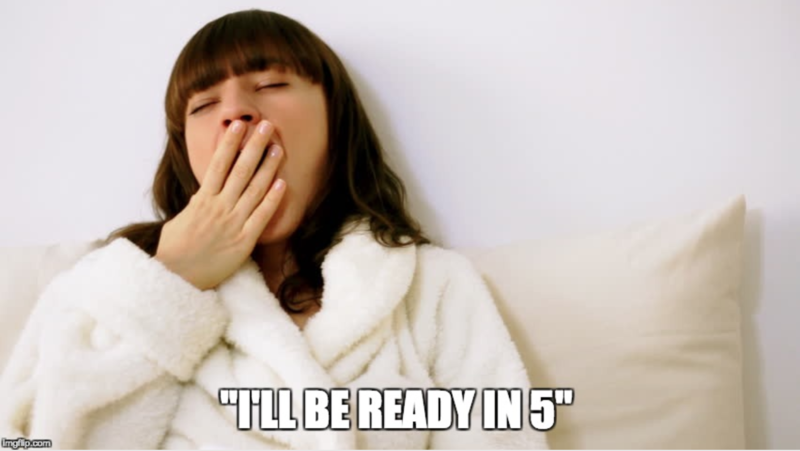 Girls ranging in age from 18-25 for the most part who are in bed on their phones instead of getting ready for a night out was the even more specific audience for my meme. My objectives included reaching 500+ views on Imgur, which I surpassed so that worked in helping my campaign. I also promoted my meme using a twitter web card (pictured below), and Facebook which received 10 likes and 10 comments so I think that was helpful for more views of my meme. My final number of views was 642 on Imgur and my impressions reached upwards of 600 on Twitter! I think what worked was keeping consistent hashtags that connected to my audience, I also created a poll on Twitter for actionable interactions. I learned a lot about the process of launching a campaign and how twitter analytics can help you track your progress throughout the time that your campaign is running. I’m happy with the end results of my twitter campaign, and although I didn’t go viral, reaching over 600 users was definitely cool!